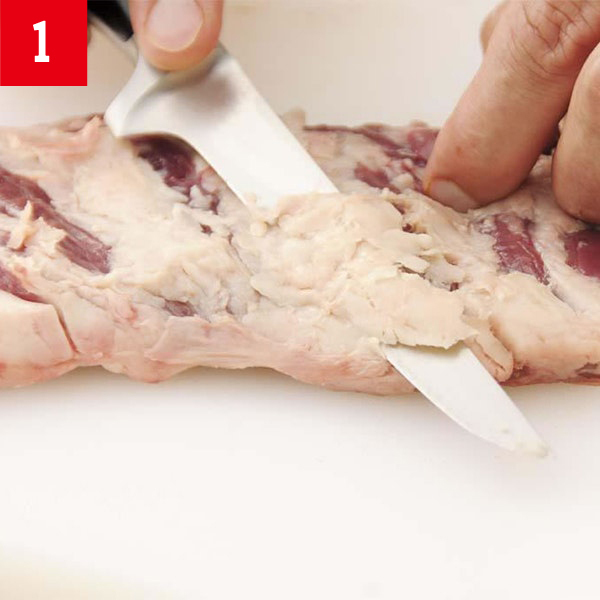 With a sharp knife, trim away most of the fat that clings to both sides of the skirt steaks. 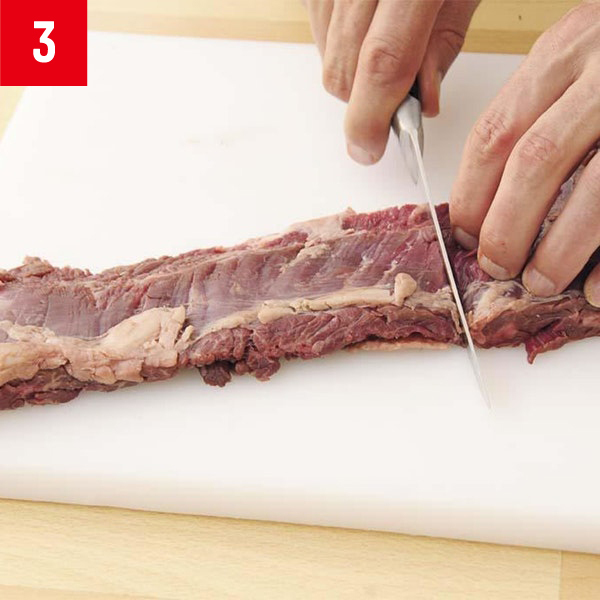 Thoroughly trimming the fat will help prevent flare-ups. 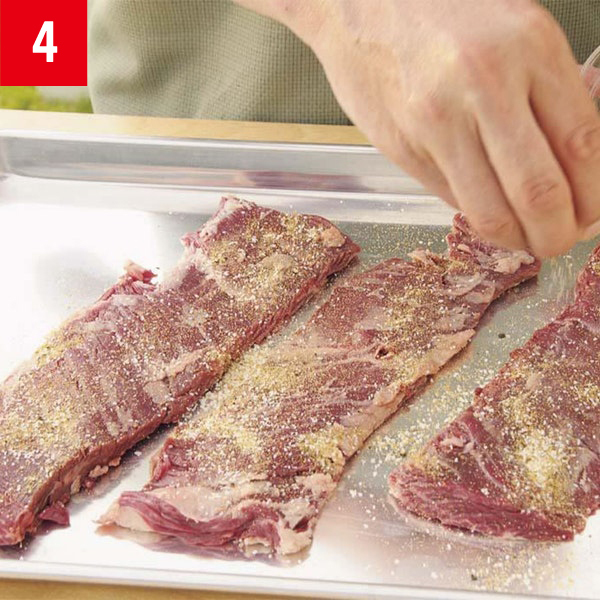 Cutting the steaks into lengths of about 1 foot will make them easier to handle on the grill. 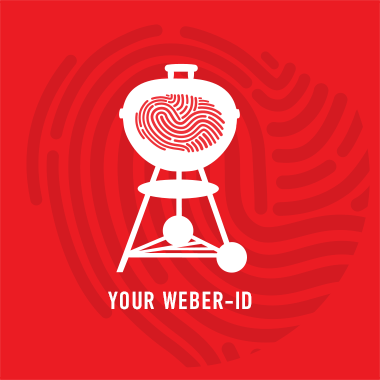 Season the meat generously, patting and massaging the seasonings in with your fingertips so they won't fall off during grilling.